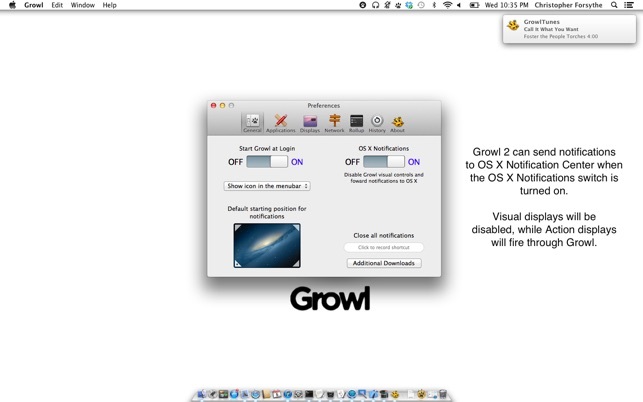 Growl is the is ultimate notification system for the Mac. It's the easiest way to instantly know what is going on with other applications while you are busy working on something else, in real time or even when you step away. One day we were working with pictures in iPhoto while having a conversation in Adium. While waiting on something important to come through in the conversation, we had to keep clicking back and forth every time an instant message came through. Even though we knew were getting a message we'd have to click back to the Adium window to see what was being said. The idea for Growl was born out of the frustration of being forced to click back and forth to see what was going on. The real time notifications keep you up to speed with everything you need to know. With smooth notifications and Growl's one of a kind rollup window, you'll always know what's going on even when you have to step away from your Mac. • Personalize your notifications. Choose Growl's presentation, look and feels. • Keeps working even when you are not. Come back to your mac and review what happened while you were gone with Rollup. • Easy to use Applications tab for controlling what you receive and what gets blocked. • Speech display for hearing your notifications, great for those who are visually impaired. • Awesome notification history, so you can see what has been going on. • A large variety of styles come with Growl. Anything from nano which is tiny, to music video which is huge. 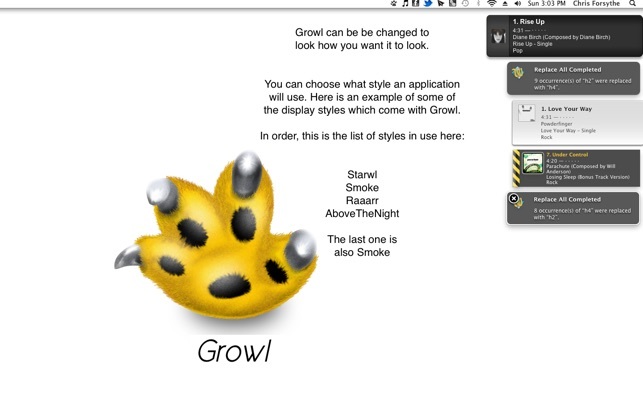 • Make your own Growl styles very easily with web technology to give Growl your own look and feel. 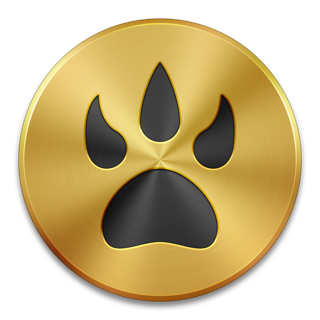 • Send Growl notifications from Cocoa, AppleScript, or over the network. 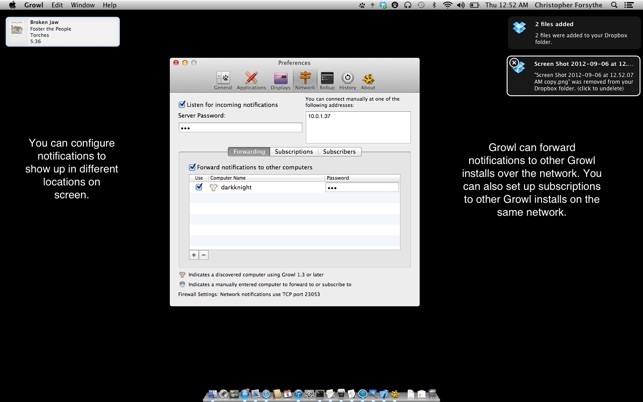 • Networking so that two or more macs can forward notifications to each other. 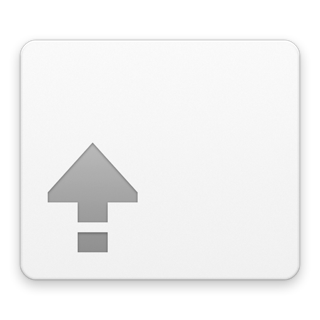 • Can work with the iPhone and iPad via Prowl. Growl is what you need. Millions of people love it, and you will too. Seriously! - Fixes an issue on 10.9 where sending notifications to Growl will result in Growl logging "(null) doesn't have enough information…" whenever it receives an incoming packet. - The on/off slider is more accessible now. - Adds an improvement to how the selection of the default plugin worked in the displays tab. 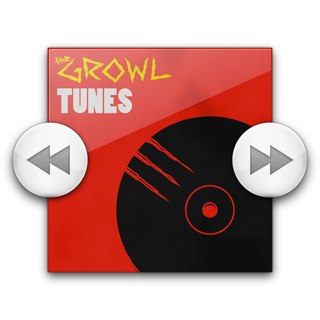 As others have said, many apps don’t use growl, so it’s not exactly an easily justifiable endeavor. I somehow inhereted Growl with Adobe, if I remember right. After a year or two's worth of notifications that Growl, which I didn’t install in the first place, was out of date, (and Apple implementing it’s OWN notification system in that time) I finally decided to get it because my spam filter and some adobe programs use it, and I was tired of the old notification goofiness, so I thought maybe an update would make my life easier. I guess not, though. I buy it and download it like I do everything else on the app store and the first thing I see is that my install was corrupt. 4 mintues after I bought this. Sorry guys, Growl’s old notifications were already not great. I’ve got a screencap of 25 notifications going off at once and covering my entire screen and I had to individually X each one. Now I have to download their UNinstaller to REinstall the thing I just bought from the app store. Trying to update has officially become a serious pain, and all for an app that, again, I never bought. Don’t waste your money, people. I give it one star because there is no option for negative stars. These little notifications have been popping up on my Mac screen urging me to update Growl. I tried FOUR TIMES, following ALL the instructions TO THE LETTER and got the same results, with the message that “the Mac App store has left you with a corrupt install, etc.” So it’s the App store’s fault Growl doesn’t work? I don’t think so. Growl needs to tune up its game, big time. 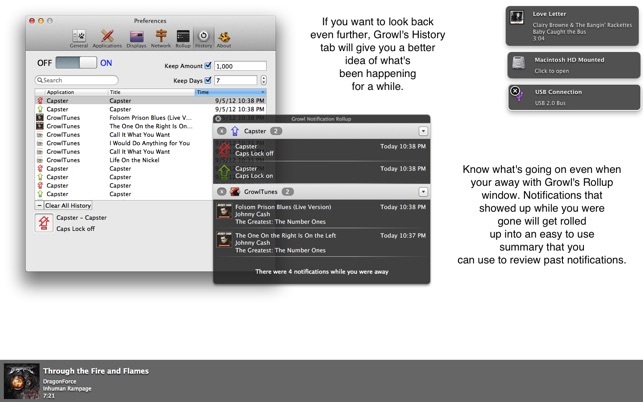 If the Mac App store has a bad file, GROWL needs to freakin' give them a new one! Who even are these people, anyway? And Growl doesn’t want to hear from you either. Their “contact us” page? The best you can hope for is to be sent to a “discussion page” where you can read about all the trouble EVERYONE else has had with it. If I wanted to do a research project, I’d go back to college. So after fooling with this WAY longer than I wanted to already, I’m giving them a bad review. 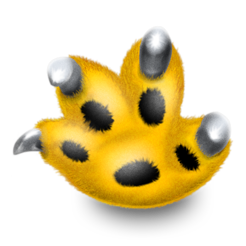 I’ve found Growl to be very useful over the last several years and am happy to pay for it now that it’s found its way to the App Store. It does everything you could wish for it do without ever getting in the way or crashing. It simply runs invisibly in the background until a program like (video encoder) Handbrake needs to notify you, and then it does so in much the same way Apple’s notifications work for most programs found in the App Store. Well worth its modest price.